New Year’s Resolutions for WineScribble. 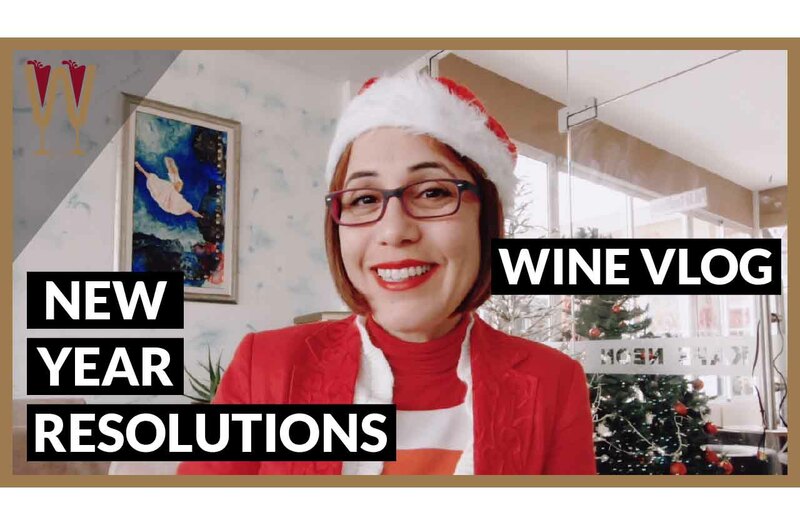 In this video WineScribble shares how she wants to explore more Cyprus Wine Routes and find out more about the terroir of the Limassol and Paphos Wine Regions. Also, a little bit of history about the Roman god Janus, the god of doorways. And, a confession about her camera work. Another fun video! Enjoy the presentation. Many people consider the custom of making New Year’s Resolutions to be a massive waste of time, and be a symptom of the massive self absorption of modern humanity. However, ignore such negativity! In fact the custom of setting resolutions for the new year goes back to ancient Rome. You see the month of January takes its name from the ancient Roman god Janus the god of doorways. Janus had two faces; one looking forwards into the future and one looking backwards into the past. At the end of January Romans promised to forgive those who had wronged them in the past, and made promises to god Janus to do better in the coming year. Thus resolutions were born. So you see it’s a time-honoured tradition. Here are my five resolutions for 2019. I use Canon cameras. I love them. The colour, the user interface, and they feel great in my hand. However, I’m a camera cheat. Do you see this wheel here on the top? Can you see that it’s set to fully automatic? I really want to learn how to use my camera properly in manual mode. This year I’ve been finding out all about Commandaria. And now I’ve become really quite curious about other dessert wines. So I want to learn more about dessert wines. I want to taste Amarone, I want to taste port, I want to get to know the dessert wine world. If you’ve been watching my winery visit videos on YouTube this year, you will notice that I have been focusing on wine route four, and wine route five in Limassol. However, there are actually seven wine routes in Cyprus. So, my third resolution is that I should stop being so lazy drive over to Paphos and get to know more about wine on that side of the island. Talking about Paphos and Limassol, I believe there is a great deal of difference between the terroir of Limassol and the terroir of Paphos. I can taste it in the Xynisteri, but I need to find out more. So, in the coming year I want to find out more about the microclimates and the terroir within the Cyprus wine regions. And, my fifth resolution. I want to grow as a filmmaker and develop my editing skills. By this point I have watched about a billion YouTube videos on how to make a video, how to edit a video, how to colour a video how to cut a video. I think I should start getting involved with some of the more sophisticated stuff, and begin to challenge myself more. My videos are fine but they can be better. New Year’s resolutions are promises we make to ourselves. That alone is a positive mental shift as all year round our promises and energy revolve around everybody else. Often our good intentions don’t survive past January, but setting goals and failing to reach them is much better than failing to set goals altogether. Tasters, if you’ve liked this video give it a thumbs up and share it with your friends. What are your new year’s resolutions? Leave a comment below and I’ll see you in the new year. Cheers everybody!